I painted this view inspired by photos of Portofino, Italy at the Da Vinci Villa, a boutique hotel in San Francisco. 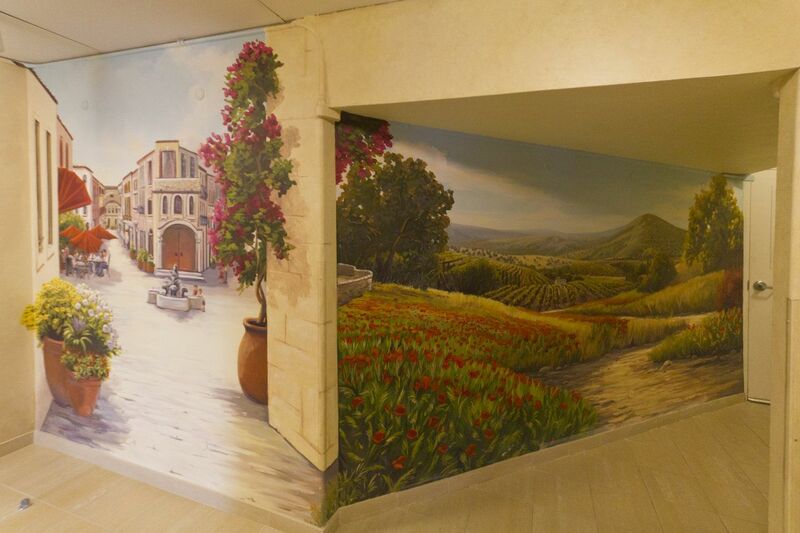 The narrow hallway now has depth from the beautiful visuals of Italy on the sides and end. 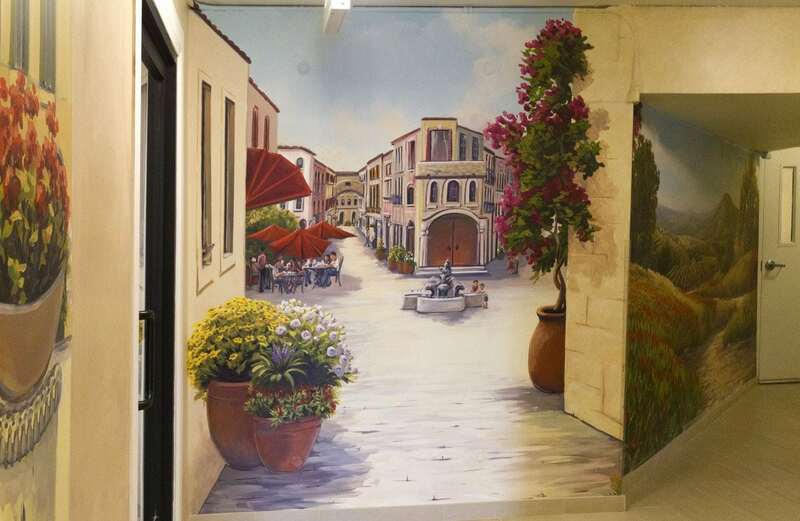 At the end of the hallway, I created a piazza scene which gives the illusion of the hallway extending out. Where it turns the corner, there is a Tuscan landscape, for those who really just want to keep on walking into the sunset. I’ve heard the vineyard around the second bend have fantastic Pinot grapes that are at the peak of perfection. The breakfast potatoes at Café Como, however are for REAL, and they are fantastic. I hope you stop by in person to see the murals next time you are in the city. 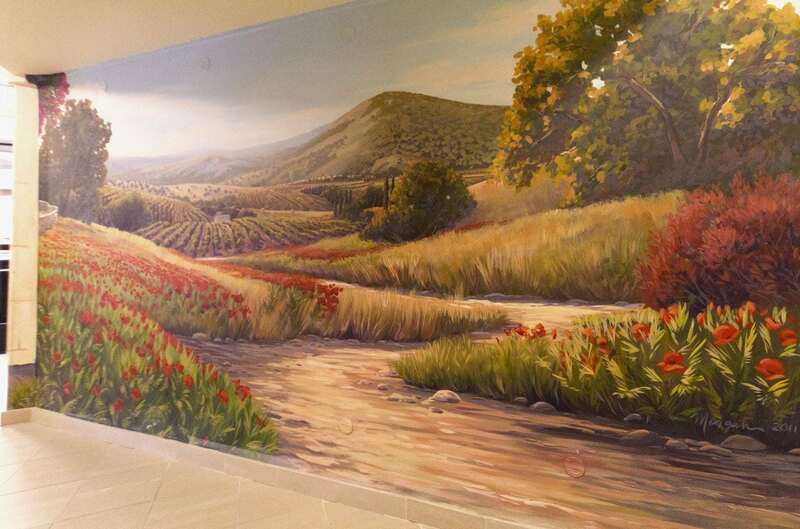 For more information about this mural project, read my blog post Collaborating with Da Vinci.